I get this real urge to knit sometimes. I’m not great at it and even more so since I’m trying to use another technique. I look like a beginner and have dropped stitches*, had them slide off the end of the circular needle** and keep stabbing my hand***. It never used to happen before, but I’m determined to try holding the right needle underneath and have a go at sliding my hand along the needle, rather than on top and throwing the wool. It’s not easy when I’ve knitted the other way since childhood, albeit sporadically. I thought a washcloth/dishcloth would be a useful thing to make as it’s small and fast to complete. Well it would be if I didn’t do *, ** and *** but I’ll get there! The pattern’s here. I really like the raised box stitch, it’s amazing what you can do with a simple knit and purl combo. I think I saw this book on someone else’s yarn along post last week, when I caught sight of it at the library yesterday I grabbed it. As you’d imagine it’s no literary masterpiece and I have made predictions a third of the way through about what’s likely going to happen. I’m sure I’ll be right too. That’s ok – it’s relaxing and not in the slightest demanding. My brain can slowly continue morphing into custard! Basically the story centres around four female characters who been drawn back to the inn (B&B?) one runs. None of them are particularly close but because of the news the inn keeper shares and Meryl’s films they’re beginning to finally bond and become suportive of each other. 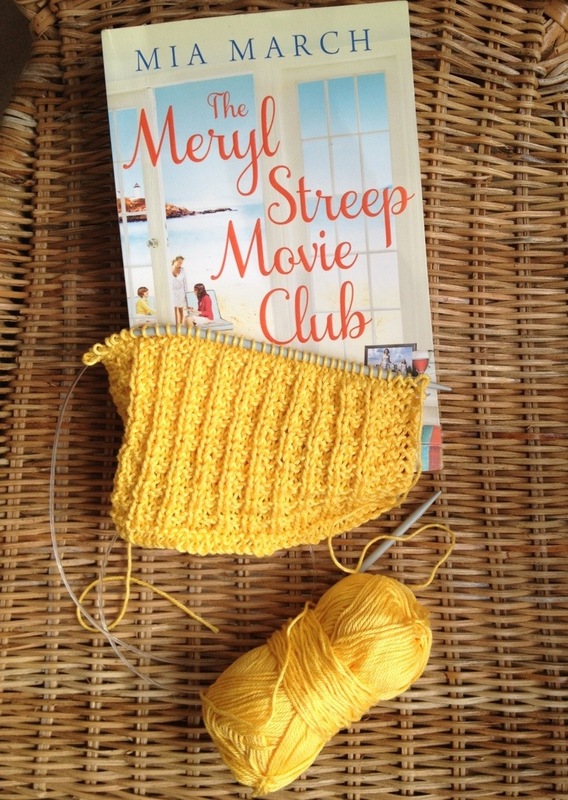 If you’ve read The Reading Group, The Beach Street Knitting Society and Yarn Club (aka Divas don’t Knit,) The Jane Austin Book-club or The Friday Night Knitting Club then you’ll know what to expect. 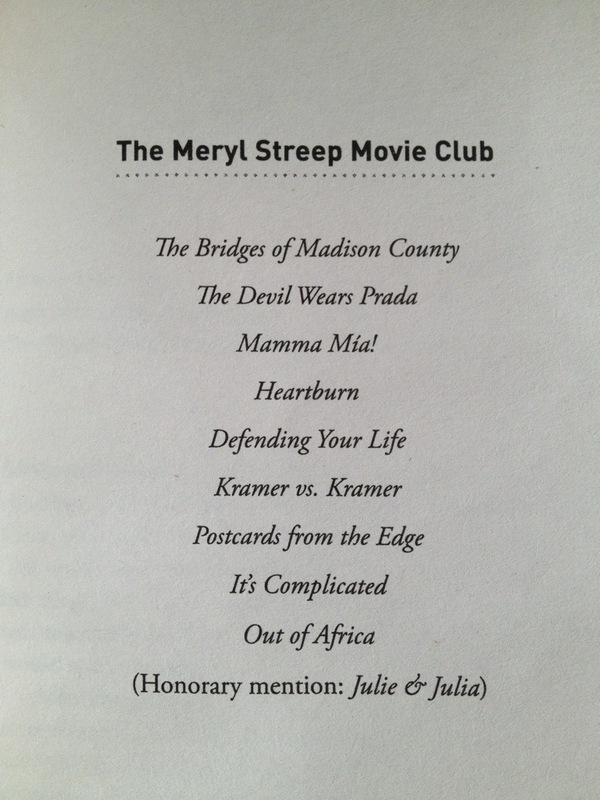 I really like Meryl Streep. There’s a few films from the book’s list I haven’t watched yet: Heartburn, though I have read the original book by Nora Ephron, and Defending your Life which doesn’t ring any bells. I’m still listening to The Cuckoo’s Calling by Robert Galbraith (aka J.K Rowling.) It’s going to take me a weeks to listen to it in chunks. I’m really enjoying it so far, Robert Glenister (of the tv prog Hustle, brother of Philip – who was the brilliant Gene Hunt in Life on Mars and Ashes to Ashes) reads superbly. I can’t recommend it enough so far. Check it out on Audible.co.uk or Audible.com. I’m joining in again with Ginny this week. 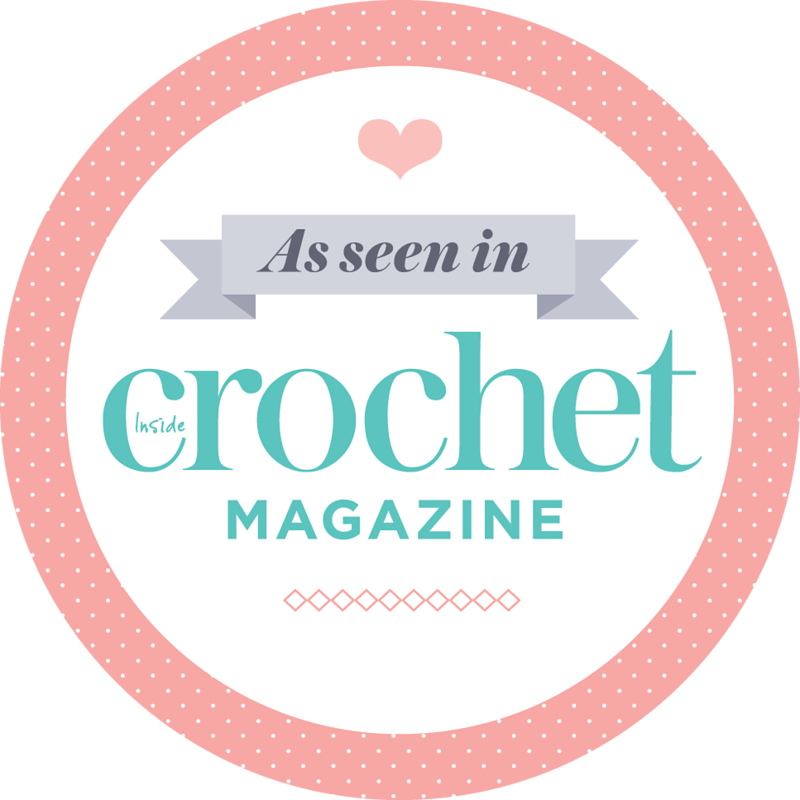 What are you reading, crocheting or knitting? 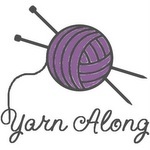 PS: Are you following Cat of the Slugs on the Refrigerator blog and her Crochet Camp? Did you – *~*cough! cough! *~*- see the guest post on Sunday? Your doing great at the cloth and it is amazing what a simple knit purl combo will do. Another great easy one to get your practise on is Grandmothers Favourite Cloth, it’s simple and easy and will further help the brain mush into custard, love that ! Never heard of your book but looks just perfect for relaxing summer reading. Do you have a link for the pattern please? What do you mean you’re not good at knitting? that looks great!!! Let us know how the book goes. Your knitting looks good to me. I’m sure you’ll find your groove again soon. Just got an audio book from the library today for Big J as its been recommended that we use them. Shall see how he gets on. Like the yellow, it’s very sunny.